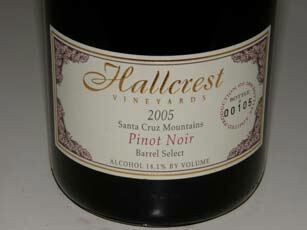 Hallcrest is the most award winning winery in the Santa Cruz Mountains. John Schumacher and family purchased the site in Felton in1987. It had been operating as Felton Empire Winery and they restored the historical name of the property to Hallcrest. John is crafting some really exciting Pinot Noirs. 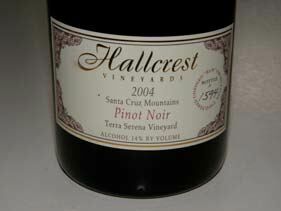 The quaint tasting room at Hallcrest is an ideal spot to sip Pinot. The wines are sold primarily out of the tasting room. 20,000 cases produced annually.